Russia currently supplies as much as one-third of the European Union’s gas imports. For many new EU member states in Central and Eastern European Countries (CEEC), the share is much higher. For these countries, the loss of a significant portion of their energy supply overnight in a crisis entails serious social problems. In addition, the long-term implications of being dependent on monopolist, single-supply routes and on natural gas as a dominant energy form can be detrimental to a country’s welfare and independent policymaking. Russia’s relationship with Ukraine is a clear example of these security threats. Many countries consider their one-sided dependency on Russian gas a top security problem and a significant element in their relations with Russia. The Russian gas monopolist, Gazprom, often seeks bilateral agreements, setting prices based on what market position and political relations allow in each case. At the same time, Gazprom and Russia also face their own security-of-demand challenge, with few export routes to the West, resulting in the building of Nordstream in the Baltic Sea and possible Turkstream across the Black Sea, to circumvent Ukrainian bottlenecks. East-West natural gas trade in Europe today is largely based on investments made during the Cold War, when the former Soviet Union emerged as a main petroleum producer. Under the Soviet system, petroleum management was guided by extensive investments to fulfill production targets in all sectors of the economy. The Unified Gas Supply System (UGSS) connected producing fields across the major industrial centers of the Soviet republics. Owned by the Soviet Ministry of Gas, the UGSS exercised vertical control over all aspects of the Soviet gas industry, from production and transportation to storage. After the breakup of the Soviet Union, the state company Gazprom took over control and management of all enterprises in the industry. Gazprom currently controls the majority of Russian gas production and processing units and owns all high-pressure transmission pipelines. It also has sole rights to export gas to Europe. Hence, the structure of the Russian gas industry and the logic of its organization have not changed much since Soviet times. After the breakup of the Soviet Union, Russia lost control over its republics and satellite states. Meanwhile, all of the CEEC and the Baltic states became members of both the EU and NATO. Gazprom continued to subsidize gas both domestically and to Russian allies. Conversely, countries considered less friendly, especially those that became EU and NATO members, had to enter negotiations where hard currency prices replaced the symbolic prices of the past. Gas to the West which was previously sold at the East-West border now had to transit through a number of independent former Soviet republics and satellite states. Beginning in the 1990s, disputes over prices, supplies, transmission tariffs, debts, and political relations arose. Most notable are the tensions between the Ukrainian oil and gas company, Naftogaz, and Gazprom. These disputes have grown beyond simple business discussions into transnational political issues involving several countries. They stem from their importance to both Ukraine and Russia’s energy, economic, and political interests, and from Ukraine’s role as a dominant transit country to the West. In January 2009, as many as eighteen EU countries lost their Russian gas supplies because of transit problems in Ukraine. Economic activities came to a halt, and many people froze to death in these countries. Another climax occurred in 2014 when supplies to Ukraine were cut following the Russian annexation of Crimea. The controversies over this conflict have not yet ended, and the outcome is unclear. With the gradual opening of EU gas markets, Gazprom has used the opportunity to invest downstream, prompting regional fear that Russia will gradually increase its control over the EU gas industry. By including Russia in the Energy Charter Treaty (ECT) and in consultations regarding the EU’s Third Energy Package (TEP), the EU has sought to make Russia abide by the Western regulatory system. The EU sees Russian gas policy mainly as a market failure. It aims to create a single energy market decoupled from dependence on Russia and to repair for the lack of jurisdiction over the whole market. At the same time, Russian President Vladimir Putin has denounced these policies as Western schemes to exert their control at the expense of Russian interests. Thus, the EU and Russian systems confront each other in terms both of whose interests policy should take precedence, and how it should be exercised. A key example of this clash was the EU’s issuing of a Statement of Objections (SO) that demanded Gazprom abandon resale obligations, market discrimination and unfair pricing. Around the same time, Russia raised a WTO Dispute Settlement case against the TEP on the grounds that it discriminated against Russia and prevented market access. In today’s global environment, the character of the interdependence between EU economies and between EU gas importers and Russia is gradually changing due to a variety of factors. These include growing globalization and integration in the natural gas market, convergence of economic growth between the East and the West in the EU, substantial increased Liquefied Natural Gas (LNG) trade, new fossil supplies (such as shale oil and gas), energy efficiency measures, environmental policies and more renewables. The EU’s Energy Union and its 2020 Energy Strategy aims to reduce greenhouse gas emissions by at least 20%, increase the share of renewable energy to at least 20%, and achieve energy savings of 20% or more. EU countries should also achieve a 10% share of renewable energy in their transport sector. Following these developments, the issues of security-of-supply for the EU and security-of-demand for Russia may gradually group together, based on whether prices are too high or too low, the degree of price volatility as in the oil market and regulatory schemes. Additional and improved access to alternative suppliers and better interconnectivity would bring the internal energy market closer to reality and mitigate, albeit not solve, the effects of a new gas crisis. However, for the CEEC concerned, Russian energy power remains a threat both in terms of sensitivity and vulnerability dependence. Its negative effects on security-of-gas-supply cannot easily be fully neutralized, albeit some countries may change their situations from being vulnerable to (only) sensitive in their import dependencies. Hence, over time, with a better functioning of the EU natural gas market, the dominance of Russian gas may be less problematic for the security-of-supply concerns of the CEEC and other countries. 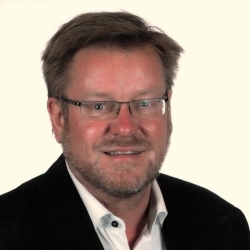 Ole Gunnar Austvik is a professor of political economy at Innlandet Norway University - Lillehammer (HiL). He is also an appointed Senior Fellow at The John F. Kennedy School of Government, Harvard University and has been working with The Norwegian Institute of International Affairs (NUPI), BI Norwegian Business School and Statistics Norway. Professor Austvik is the author of numerous articles and books, regarding international political economy, European integration, global energy economics and policy. Just now he is publishing a book on European Integration; Economics and Politics (in Norwegian language).